This is the second weekend in a row we’ve managed to get out and explore the beauty of the world around us, and I’m loving where God has placed us in the world. We walked along a picturesque section of Hadrian’s wall – like the Great wall of China, but not quite as great. It was built with much the same purpose: to keep out the northern barbarians – in this case the Scots. One of my favourite hobbies is photography – although I make no claims about being good at it and I don’t have a proper DSLR, I still really enjoy it. Today I got to pull out my Sony DSC-HX1 “Semi-professional” camera – as I’d learned from last week to keep it charged up. 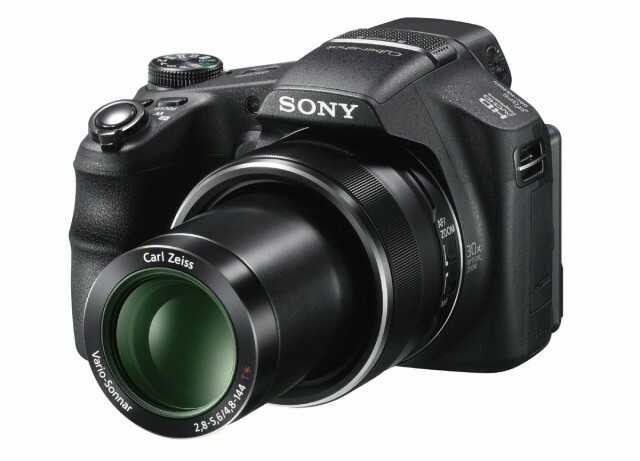 It looks mostly like this, but with a Sony lens. Whilst I’d never recommend it to anyone (as it’s over 2 years old now and I’m sure they don’t make it anymore) I’ve not been happier with a single piece of tech in all my life. I’m sure that relieves my parents who had to put up with me browsing every store in Dubai’s biggest mall for two days straight to find the right fit. Every time I take a photo like the one below – I rejoice that a complete amateur can produce such an image. But the real reason I looked through so many stores and even turned down a full DSLR that was the same price? Panoramas. You see, what I was after was not some spectacular result, but the ability to create one in seconds. With this camera I point at something, press the button and pan to the right – that’s it. I can see it immediately on the camera as it creates the file instantly, and I can then use whatever software I want. I think it came with a disk but I never took it out of the packet. The results aren’t half bad in my opinion, although I struggled to find something panorama worthy today. As always I’ve used Google Picasa 3 to touch up any white balance issues and add a bit more contrast. Please enjoy the rest of the gallery.